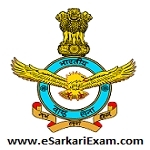 Eligible Candidates can Download AFCAT 02/2018 Written Exam Result at the Official Website of Indian Air Force. Open ACAT 02/2018 Link in Candidate Login Section at Home Page. Download and Take Admit Card Printout.